Do you and your customers speak the same language? One of the guiding principles of B2Me is to use simple language and familiar terms in order to clearly communicate what you need to say to your customers. Get rid of jargon and marketing speak — Make it a priority! American insurer Cygna clearly understands the importance of simple and effective communication. The company prides itself on systematically simplifying the language it uses in its marketing communication and more important, in its contact between their employees and customers. To help achieve this goal, they created a program for first-line staff that dictates what words should be used to describe insurance concepts, products, terms and conditions. The program is called “Let’s be clear”, and is designed to help employees “translate” the obscure language of the insurance industry into plain English. Here are a few examples: “you” instead of “claimant”, “process your claim for payment” instead of “adjudication” and “start date” instead of “activation”. The goal is to make customers feel comfortable, to create a climate of trust and allow the customer to feel valued – not diminished by the use of language they don’t understand. Cigna even created a website that provides a dictionary of common insurance terms and their translation into plain English in order to be clearly understood by a customer. At the end of the day, it simply a question of respect for “me”, the customer. Do you speak the same language as your customer? Or are you forcing your customers to speak yours? There’s an interesting article on B2Me™ on the Retail Experience Blog, by Paul Flanigan, former director of brand communications for Best Buy. We have all heard B2B (business to business) and B2C (business to consumer). But this has now evolved into B2ME. The simple definition is the practice of marketing to the individual based on the desires of that individual. It’s not about closing a sale, it’s about developing a relationship with every single unique individual. This doesn’t (or shouldn’t) seem like a new way to market. We have been doing this all along, right? Well, the advent of personal technology has quite a bit to do with it. Marketing has had to catch up with individuals who are mobile, savvy, and in control of the sales cycle in pretty much every type of buyer/seller relationship. How much is a customer worth? Probably more than you think! When you look at marketing from a purely transactional perspective, you often lose sight of an important dimension: the long-term value of a customer. Or more precisely, the cumulative net revenue that a customer provides during the “lifetime” of the relationship between the customer and a business, or a brand. This transaction perspective focuses on the immediate sale of good and services through marketing campaigns of all nature. From that point of view, the customer value is equal to the amount of the sale produced as a result of that campaign. Transactional marketers will work to reduce the cost per transaction in order to maximize short term revenue. Nothing wrong with increasing revenue… far from it. But this narrow vision often forces us to make choices that as purely short-term. From a relationship marketing perspective however, we will take into account the actual value of a customer — what is known as Customer Lifetime Value (CLV) – in order to better understand how much we can afford to invest to acquire a new customer with whom we can engage and maintain a long-term relationship over the course of several years. In fact, when you think about it, this value is often much greater than we suspect. Calculating CLV is based on three variables: gross revenue per average transaction, average frequency of purchase and the average lifetime of a customer relationship. Regardless of your industry, when you start to look at what a customer is worth, you quickly understand why it is so critical to retain customers and increase loyalty. 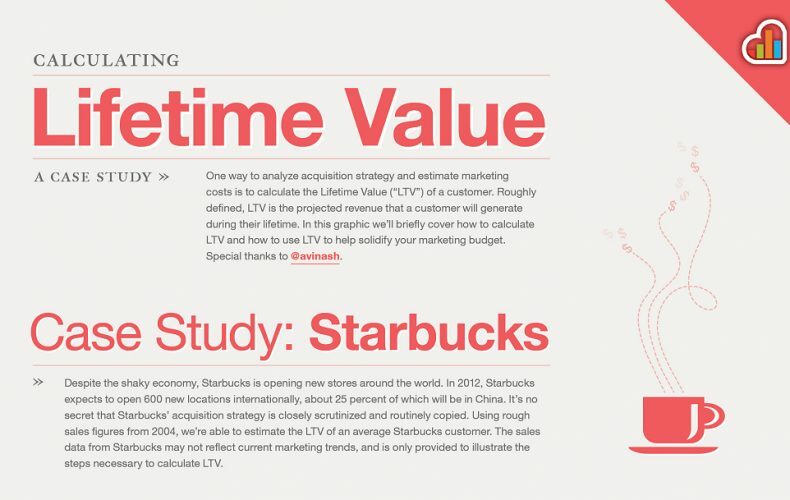 In the infographic show below, KissMetrics looks at the lifetime value of a Starbucks customer. That Grande Latte you buy from the little mermaid from Seattle starts to look even more expensive than you ever imagined. According to KissMetrics, the average lifetime value of a Starbucks customer is $14,099 over a 20 year period. This value is based on an average purchase value of $5,90 and a purchase frequency of 4,2 purchases per week. Now imagine the coffeeholic who shows up twice or three times a day, at break time, for lunch or an afterwork snack. The value goes through the roof! Rather surprizing isn’t it? So now, if I ask you how much Starbucks could afford to spend in order to acquire and retain a new customer, you would start to see that it is much more than the cost of a single Latte. Instead, you would use the CLV as a basis to set this amount. All of a sudden, you would probably be tempted to invest a little more. Now imagine you’re Second Cup — how much would you spend to win over a Starbucks customer? Now think about your own customers. What is the CLV of your average customer? Better yet, forget the Average Joe. Think about your best customers—the top 15% to 20%. Your most active, loyal and profitable customers. Now thank about what you are doing to keep them loyal… If your answer is nothing, what are you waiting for? It’s a matter of survival! 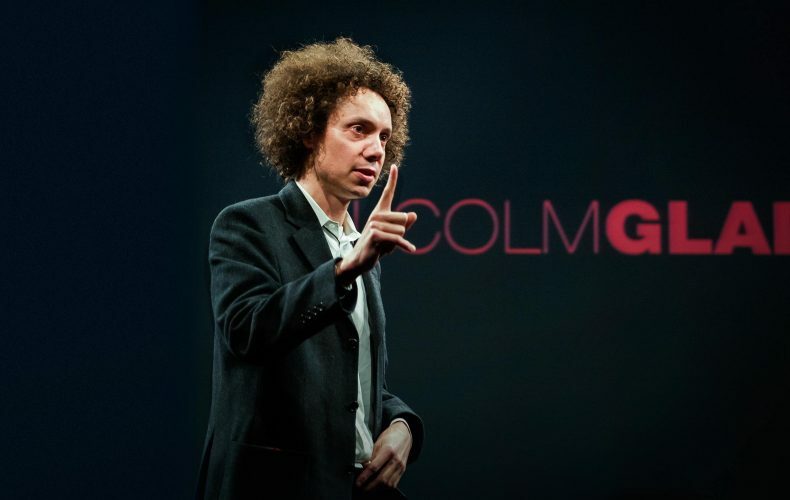 As a fan of all things Gladwell, I would like to share with you this excellent video produced by TED TV that chronicles the history of how Howard Moskowitz changed the way we shop for groceries — a change that led to the avalanche of choices that we face in our lives, day-to-day. Presented in typical Gladwellian style, this is a fascinating tale of innovation that began in the ’80s. 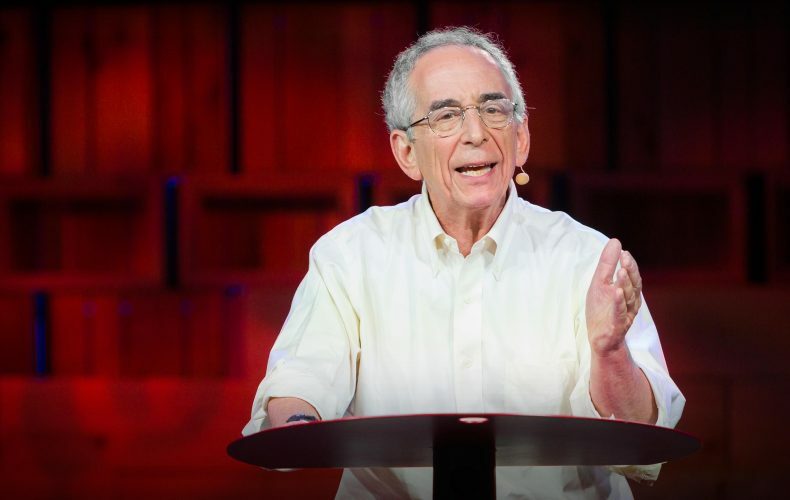 In this video from TED TV, american social psychologist Barry Schwartz, author of The Paradox of Choice explains the negative impact of choice – or more precisely, the impact of too much choice – on our level of satisfaction with the things we buy in our day-to-day lives. Unrealistic expectations, or persisting doubt over the choices we make: these are the reasons why we must limit the number of products and services we offer our customers. By personalizing content and product recommendations, B2Me allows us to reduce the number of products suggested to a limited set or a single item that best suit the customer’s needs… One customer at a time!